The German exodus from Eastern Europe describes the dramatic reduction of ethnic German populations in lands to the east of present-day Germany and Austria . The exodus began in the aftermath of World War I and was implicated in the rise of Nazism. It culminated in expulsions of Germans from Eastern Europe in the aftermath of World War II. These were part of negotiated agreements between the victorious Allies to redraw national borders and arrange for "orderly population transfers" to remove ethnic groups that were viewed as "troublesome". Migrations that took place over more than a millennium led to pockets of Germans living throughout Eastern Europe as far east as Russia . By the sixteenth century, much of Pomerania, Prussia, the Sudetenland, Bessarabia , Galicia, Alto Adige/South Tyrol, Carniola, and Lower Styria had numerous German-majority towns and villages. By the early nineteenth century, every city of even modest size as far east as the Volga had a German quarter and a Jewish quarter. Travellers along any road would pass through, for example, a German village, then a Czech village, then a Polish village, etc., depending on the region. The rise of nationalism in Europe from the middle of the nineteenth century spread the concept of a "people" who shared a common bond through race, religion, language, and culture, and had a right to form its own state. In these circumstances, various situations could lead to conflict. One such was when a nation claimed territorial rights to land outside its borders on the basis of a common bond with the people living on that land. Another was when a minority ethnic group sought to secede from a state, either to form an independent nation or join another nation with whom they felt stronger ties. A third source of conflict was the desire of some nations to expel people from their territories on the grounds that those people did not share a common bond with the majority in that nation. By World War I, there were isolated groups of Germans or so-called Schwaben as far southeast as the Bosphorus (Turkey ), Georgia , and Azerbaijan . After the war, Germany's and Austria-Hungary's loss of territory and the rise of communism in the Soviet Union meant that more Germans than ever constituted sizable minorities in various countries. German nationalists used the existence of large German minorities in other countries as a basis for territorial claims. Many of the propaganda themes of the Nazi regime against Czechoslovakia and Poland claimed that the ethnic Germans (Volksdeutsche) in those territories were persecuted. The Nazis negotiated a number of population transfers with Joseph Stalin and others with Benito Mussolini so that both Germany and the other country would increase their ethnic homogeneity. However, these population transfers were not sufficient to appease the demands of the Nazis. The "Heim ins Reich" (Home into the Country) rhetoric of the Nazis over the continued disjoint status of exclaves such as Danzig was an agitating factor in the politics leading up to World War II, and is considered by many to be among the major causes of Nazi aggression and thus the war. Adolf Hitler used these issues as a pretext for waging aggressive wars against Czechoslovakia and Poland. As Nazi Germany invaded first Czechoslovakia and later Poland and other European nations, some members of the ethnic German minorities in those countries aided the invading forces and the subsequent Nazi occupation. These acts would cause an enmity against Germans, and later be used as part of the justification for the expulsions. According to the 1920 constitution, German minority rights were to be protected and their educational and cultural institutions were to be preserved in proportion to the population. Local hostilities were engendered, however, by policies intended to protect the security of the Czechoslovak state: border forestland, considered by some to be the most ancient Sudeten German national territory, was expropriated for security reasons, and Czech soldiers, policemen and bureaucrats were stationed in areas inhabited only by Germans. There were also economic tensions, as Sudeten Germans suffered more during the Great Depression, because they were more dependent on foreign trade and economic conditions in Germany. Sudeten German nationalist sentiment affected their politics during the early years of the republic. In 1926, however, Chancellor Gustav Stresemann of Germany advised Sudeten Germans to cooperate actively with the Czechoslovak government. In consequence, most Sudeten German parties changed from negativism to activism, and a number of Sudeten Germans accepted cabinet posts. By 1929, only a small number of Sudeten German deputies - most of them members of the German National Party (propertied classes) and the Sudeten Nazi Party (Deutsche Nationalsozialistische Arbeiterpartei) - remained in opposition. On October 1, 1933, Konrad Henlein created a new political organization, the Sudeten German Home Front which professed loyalty to the Czechoslovak state but championed decentralization. It absorbed most former German nationals and Sudeten Nazis. In 1935 the Sudeten German Home Front became the Sudeten German Party (Sudetendeutsche Partei, SdP) and embarked on an active propaganda campaign. In the May election the SdP won more than 60 percent of the Sudeten German vote at the expense of the German Agrarians, Christian Socialists, and Social Democrats who each lost approximately half of their constituencies. The SdP became the fulcrum of German nationalist forces. The party represented itself as striving for a just settlement of Sudeten German claims within the framework of Czechoslovak democracy. Henlein, however, maintained secret contacts with Nazi Germany and received material aid from Berlin. The SdP endorsed the idea of a führer and mimicked Nazi methods with banners, slogans, and uniformed troops. Concessions offered by the Czechoslovak government, including the transfer of Sudeten German officials to Sudeten German areas and possible participation of the SdP in the cabinet, were rejected. By 1937, most SdP leaders supported Hitler's pan-German objectives. Some ethnic Germans living in Poland were activists in the groups Deutscher Volksverband and Jungdeutscher Partei, and before the war opposed any form of co-existence with the Polish state, and condemned those ethnic Germans who spoke Polish or had contact with Polish culture. Polish national events were boycotted and ethnic Germans who did not act in the required manner were branded as traitors and renegades by these organizations. Such organizations also distributed propaganda films and brochures containing inflammatory anti-Polish statements. One historian estimates that 25% of the ethnic German population in Poland belonged to Nazi-sponsored organizations that supported the Nazi conquest of Poland. Selbstschutz and German nationalist organizations created in Poland and Czechoslovakia by Germans took an active part in various actions (sabotage, etc.) which targeted the Polish population. For example, Selbstschutz took part in and itself conducted mass executions of Poles in Operation Tannenberg. The Selbstschutze counted 82,000 to 100,000[ members ,while the 1931 census showed 741,000 Germans living in Poland, over 10% of Germans living in Poland were members of this organization. Polish historians estimate that, in areas that were incorporated into the Third Reich, 40,000 Poles were murdered and 20,000 were sent to concentration camps during the Intelligenzaktion, in which Selbstschutze also took part. Only a few percent of those sent to concentration camps survived. In the early days of the occupation, 90% of those who were sent to concentration camps were targeted by ethnic Germans The overwhelming majority of those victims were selected by local ethnic Germans who identified them as enemies of the Reich . Ethnic Germans living in Poland made lists of Poles targeted for execution, as well as hunting down and illegally imprisoning Poles. At the time of the expulsions, many German nationals and ethnic Germans still supported Nazism. For example, according to polls conducted among Germans in the American Zone of Occupation from November 1945 through December 1947, the percentage of the German population that supported the view that "National Socialism was a good idea, but badly implemented" averaged 47%, while in August, 1947, the percentage increased to 55% . Additionally 37% supported genocide of Jewish and Polish nations as "justified". Germans were resettled from territories which were occupied by the Soviet Union in 1939 and 1940 as a result of the Molotov-Ribbentrop Pact of August 1939, notably from Bessarabia and the Baltic states of Estonia and Latvia , all of which had large German minorities. The majority of the Baltic Germans had already been resettled in late 1939, prior to the occupation of Estonia and Latvia by the Soviet Union in June, 1940. These Volksdeutsche (ethnic Germans) were then resettled in place of expelled Poles both in Polish areas annexed by Nazi Germany and in Zamość County in line with the Generalplan Ost. As it became evident that the Allies were going to defeat Nazi Germany decisively, the question arose as to how to redraw the borders of Eastern European countries after the war. In the context of those decisions, the problem arose of what to do about ethnic minorities within the redrawn borders. Winston Churchill was convinced that the only way to alleviate tensions between the two populations was the transfer of people, to match the national borders. As he stated in a speech to the House of Commons in 1944, "Expulsion is the method which, insofar as we have been able to see, will be the most satisfactory and lasting. There will be no mixture of populations to cause endless trouble... A clean sweep will be made. I am not alarmed by these transferences, which are more possible in modern conditions." The final decision to move Poland's boundary westward was made by the US , Britain , and the USSR at the Yalta Conference , shortly before the end of the war. The precise location of the border was left open; the western Allies also accepted in principle the Oder River as the future western border of Poland and population transfer as the way to prevent future border disputes. The open question was whether the border should follow the eastern or western Neisse rivers, and whether Stettin , the traditional seaport of Berlin , should remain German or be included in Poland. Originally, Germany was to retain Stettin while the Poles were to annex East Prussia with Königsberg . . However, Stalin eventually decided that he wanted Königsberg as a year-round warm water port for the Soviet Navy, and argued that the Poles should receive Stettin instead. The wartime Polish government in exile had little to say in these decisions. At the Potsdam Conference, the United States, the United Kingdom, and the Soviet Union placed the German territories east of the Oder-Neisse line (In Poland, these were referred to by the Polish Communist government as the "Western Territories" or "Regained Territories") as formally under Polish administrative control. It was anticipated that a final peace treaty would follow shortly and either confirm this border or determine whatever alterations might be agreed upon. The effective result of the Potsdam Conference was to put under Polish administration 112,000 km² of former German territories while transferring 187,000 km² of Polish territory located east of the Curzon line to the USSR. The northeastern third of East Prussia was directly annexed by the Soviet Union and remains part of Russia today. Some German plans for evacuation of the civilian population in some areas were prepared well in advance. Others were haphazard or purposefully neglected. The evacuation plan for some parts of East Prussia was completed and ready for implementation by the middle of 1944. It comprised mostly general plans for each province and there were some detailed plans for some cities and towns. Those detailed plans which existed consisted of five parts, including a general outline and listing of concentration points, preparation tasks for local administrations, specific instructions and detailed scenarios for the two phases of evacuation. Separate plans were prepared for some industrial plants. The plans covered not only the evacuation of civilians, but also livestock, and plans existed to destroy the industry and infrastructure. Despite these preparations, Nazi authorities were late in ordering the evacuation of areas close to the advancing front, before they were overrun by the Red Army. This was mainly due to: Nazi fanaticism and irrationality; a valid paranoia about the fatal consequences of even giving the appearance of being 'defeatist' (and even discussing evacuation was definitely viewed as defeatist); and Hitler's insistence on holding every square metre of territory. About 50% of the Germans residing in areas annexed by Germany during WWII and almost 100% residing in unannexed occupied areas were evacuated. While around 7.5 million Germans (both "Imperial Germans" and "Ethnic Germans") were either evacuated or otherwise escaped East Prussia and the previously occupied territories, many lost their lives either because of severe winter conditions, poor evacuation organization, or military operations. Many of the remaining German inhabitants were either expelled or fled from present-day Poland , Czechoslovakia , Hungary , today's Kaliningrad Oblast , and other East European countries. Some reports indicate that up to 16.5 million Germans were forcibly deported. More concrete statistics regarding those who emigrated or were expelled indicate a figure closer to 12 million. Those who fled in fear of the Red Army were subsequently banned from returning. Some ethnic Germans were expelled because of their Nazi activities during the war, yet the single most common reason for their expulsion was their German ethnicity. They were sent to makeshift camps or cities in eastern and western Germany, and Austria, generally according to their Landsmannschaft. According to some German sources, more than 2.5 million lost their lives during this process. Other German, Czech, and Polish sources give a much lower estimate (Czech historians arguing that most of the estimated losses stemmed from the deaths of soldiers killed at the front). Over the course of the sixty years since the end of the war, estimates of total deaths of German civilians have ranged from 500,000 to as high as 3 million. Although the German government's official estimate of deaths due to the evacuations and expulsions stood at 2.2 million for several decades, recent analyses have led some historians to conclude that the actual number of deaths attributable to the expulsions was actually much lower—in the range of 500,000 to 1.1 million. The higher figures, up to 3.2 million, typically include -all- war-related deaths of ethnic Germans between 1939-45, including those who served in the German armed forces. The debate about the number of deaths and their cause continues to be the subject of heated controversy. 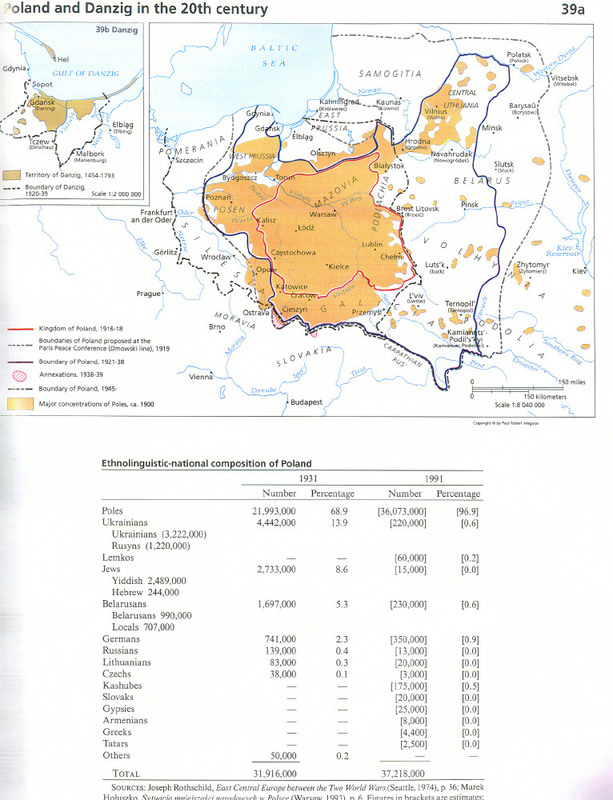 The population transfer itself included about: 688,000 from Poland (1938 borders); 2,275,200 from East Prussia; 5,123,200 from the pre-war areas of Germany proper (mostly Silesia and Pomerania) incorporated into Poland (see Oder-Neisse Line); 3,000,400 from Czechoslovakia; around 169,500 from the Soviet Union; 253,000 from Hungary; 213,000 from Romania ; and another 297,500 from Yugoslavia. However, in no East European nation were all ethnic Germans forced to leave. Census figures in 1950 place the total number of ethnic Germans still living in Eastern Europe at approximately 2.6 million, about 12 percent of the pre-war total. The expulsion of Germans from Eastern Europe was tolerated by the Potsdam Agreement, which stated that the process should be undertaken in a "humane" and "orderly" manner, though it failed to specify detailed rules for the population transfers, or supervision of the process to prevent crimes against the transferred populations. Valdis Lumans indicates that no ethnic German expulsions would have occurred at all, except for the barbaric occupation policies imposed on most of Europe by Nazi Germany, which included the expulsion or slave-labor pressganging of non-Germans from most of these areas. Along similar lines, Prauser and Rees assert that the "charge laid against the German population in the Eastern European states was that of disloyalty and of supporting the destruction of the states of which they were members and of collaboration with the German occupying forces." In The Volksdeutsche of Eastern Europe and the Collapse of the Nazi Empire, 1944-1945, Doris Bergen analyzes the immediate and long-term effects of population policy on the ethnic Germans of eastern Europe which, in her view, was disastrous. Bergen notes that the ethnic Germans of this area found their fate intimately linked to, and affected by, the German war effort and the regime's genocidal policy in more than material ways. Not only did Nazi resettlement policy cause a permanent shift of population transfers and ethnic boundaries, it also caused the erasure of ethnic coexistence. During the earlier years of the war, the Nazis emphasized racial hostility and competition, but at war's end, when it was fairly clear that the Germans would lose, ethnic Germans who had benefitted from the earlier policy simply refused to abandon these ideas and found themselves, as a result, struggling to find a satisfactory place within their new communities. Between 1950 and 1990, 1.4 million people emigrated from Poland to Germany claiming German ancestry (770,000 of them in the 1980s). Between 1970 and 1990 Romania allowed the migration of ethnic Germans (Danube Swabians, Carpathian Germans, and Transylvanian Saxons) to West Germany and Romanian Jews to Israel in exchange for hard currency. Since the Romanian Revolution, this migration has continued. With the collapse of the Soviet Union in 1991, large numbers of Russian Germans (to include the Wolgadeutsche) took advantage of Germany's liberal law of return to leave the harsh conditions of the Soviet successor states. By 1999, about 1.7 million former Soviet citizens of German origin had emigrated, mainly from Russia and Kazakhstan , to Germany. About 6,000 settled in Kaliningrad Oblast (former East Prussia). During the period of 1944/1945 - 1950, millions Germans fled or were expelled as a result of actions of the Red Army, civilian militia, and/or organized efforts of governments of the reconstituted states of Eastern Europe. Hundreds of thousands of ethnic Germans were detained in internment camps or sentenced to forced labor, some of them for years. The number of wartime expellees and refugees whose fate could not be ascertained was estimated to be around 2.1 million of the total 3.2 million casualties from all war-related causes, according to two major studies conducted in 1958 and 1965, which were commissioned by the German Bundestag . Many German women were raped (the process of flight and expulsion includes actions taken by the Red Army against German civilians). Private property of the expelled Germans was confiscated. More than 4 million Germans emigrated to Germany from the 1950s to the 1990s, joining the 12 million expellees and refugees. A German expellees source from the mid-1980s gives the following estimates of the population transfers. See Richard Overy's The Penguin Historical Atlas of the Third Reich, for a more recent objective tabulation of these figures. The integration of expellees and refugees into German society required great efforts from the 1940s to the 1960s. In some areas, for instance in Mecklenburg, the number of inhabitants doubled as a result of the influx. Other areas, like Bavaria , which had been predominantly Roman Catholic before the war now had to deal with an influx of non-Catholic and non-Bavarian Germans from the East. The areas from which ethnic Germans escaped or were expelled were subsequently re-populated by nationals of the states to which they now belonged, numbers of whom were expellees themselves from lands further east. The psychological and social impact of the events were so immense, that even today the expulsions have entered the German language simply as "the Flight" or "the Expulsion" with no further specification needed, similar to the German reference to World War II as simply "the War" without further qualification. Added the fact that mostly only far "right-wing" organizations publicly rallied to the cause of the expellees following 1950 in Western Germany made the topic a political taboo. Anyone highlighting the grave injustice set upon the victims of the expulsion was labeled a revisionist and ultra-nationalist in the political spectrum. In East Germany no public debate was tolerated and it was officially counterbalanced with communist propaganda purporting the new frontier as a "Peace Border" or Friedensgrenze. The official German Federal government policy on the matter was that the Oder-Neisse border was only a de-facto frontier and that a final peace treaty was needed to settle the issue with the inclusion of all the Allied Powers. This kept the legacy of the expulsion alive in the minds of both the expellee population and the Polish government until it was resolved in 1990 with the Reunification Treaty. During the Cold War era, there was little public knowledge of the expulsions outside of Germany , and thus scant discussion over the morality of the policy . Perhaps the primary reason for this is that Cold War geopolitics discouraged criticism of post-war Allied policies by the West Germans and of post-war Soviet policies by the East Germans. There was some discussion of the expulsions in the first decade and a half after World War II, but serious review and analysis of the events was not undertaken until the 1980s. It can be surmised that the fall of the Soviet Union, the spirit of glasnost and the unification of Germany and now the expansion of the European Union into the areas that experienced the expulsions opened the door to a renewed examination of these events. In 1946, Winston Churchill delivered a memorable speech in Fulton, Missouri in the presence of US President Truman. Churchill made the USA aware of the Iron Curtain coming down "from Stettin in the Baltic to Trieste in the Adriatic". In this speech, Churchill also emphasized the wrongful Soviet-directed Polish incursions into Germany (that is, the land east of the Oder-Neisse line) and the plight of millions of Germans refugees/expellees. However, taking into account his own responsibility for, and acceptance of, the decisions made in Potsdam, the speech would seem to have been motivated by a contemporary political agenda. During the Cold War, anti-Communists in the U.S. used the expulsions to excoriate the Soviet Union and its satellites for alleged cruelty and inhumanity in the Soviet occupation of Eastern Europe. Because of the polemic nature of these allegations, estimates of deaths due to the expulsions tended to run higher than subsequent assessments by historians. For example, in a speech before the U.S. House of Representatives on May 16, 1957, the Hon. B. Carroll Reece of Tennessee called the violent expulsion of German civilians "genocide". He charged that over 16 million Germans had been expelled from their homes east of the Oder-Neisse Line, resulting in over 3 million deaths. Both Aleksandr Solzhenitsyn and Lev Kopelev, during their Soviet military service, had objected to the brutal treatment of German civilians of East Prussia. Lev Kopelev wrote about the cruel events in post-1945 East Prussia in the autobiographical trilogy To Be Preserved Forever (Хранить вечно, Khranit' Vechno). After World War II, many expellees ( ) found refuge in either West Germany, East Germany, or Austria. Refugees who had fled voluntarily but were later refused the right to return are often not distinguished from those who were forcibly expelled, who are often not separable from people born to German parents that moved into areas under German occupation either on their own or as Nazi colonists. In a document signed 50 years ago, the Heimatvertriebene organizations also recognized the plight of different groups of people living in today's Poland who were resettled there by force. The Heimatvertriebene are just one of the groups of millions of other ethnic Germans, from many different countries, who all found refuge in today's Germany. Some of the expellees were active in politics and belonged to right-wing political organizations. Many others do not belong to any organizations, but they continue to maintain what they call a lawful right to their homeland. The vast majority pledged to work peacefully towards that goal while rebuilding post-war Germany and Europe. The expellees and their descendants are still highly active in German politics, and are one of the major political factions of the nation, with around 2 million members. The president of their organization is still a member of the national parliament. Although the prevailing political climate within West Germany was that of atonement for Nazi actions, the CDU governments have shown considerable support for the expellees and German civilian victims. The Federation of Expellees ( ) is a non-profit organization formed to represent the interests of Germans displaced from their homes in Historical Eastern Germany and other parts of Eastern Europe by the expulsion of Germans after World War II. ("Heimatvertriebene": "Homeland expellees"). It represents German citizens and their descendents (today numbering approximately 15 million), who after World War II were transferred from Poland and the Soviet Union and former German territories, together with ethnic Germans who were transferred from Czechoslovakia , Hungary , Romania , Yugoslavia and other countries. The current president is CDU politician Erika Steinbach. The foundation Centre Against Expulsions has its registered office in Wiesbaden and is headed by CDU politician Erika Steinbach. One of Steinbach's main aims is to build the Centre Against Expulsions ( ) in Berlin, a memorial dedicated to the victims of forced migrations or ethnic cleansing in Europe, particularly those of the Germans displaced after World War II. It was initiated by the Federation of Expellees, with the support of the CDU/CSU faction in the German parliament and of Chancellor Angela Merkel, who intends to support the building of the centre. The initiative has caused much controversy, both in Germany and abroad. Some critics of the Federation of Expellees criticize the movement to build a centre and monument against forced migration for focusing primarily on the expulsion of Germans rather than giving more weight to expulsions throughout all Europe. Critics argue that this focus on German expulsions "risks de-contexualizing the past, thus breaking the causal relationship between the Nazi policies of radical nationalism and racial extermination on one hand and the flight and expulsion of ethnic Germans on the other hand". This line of criticism argues that the expulsion of ethnic Germans was directly a result of Nazi policies during World War II. It charges that the Centre Against Expulsions portrays expelled Germans as victims of the war and thereby downplays the German responsibility for the Holocaust, atrocities, and Nazi Germany's aggression, leading to the outbreak of the war. Other voices point out that it is important to document every part of history in order to be accurate. Furthermore, some argue that German responsibility for World War II is and will continue to be known, thus the fear is unsubstantiated. Although relations between the Republic of Poland and the Federal Republic of Germany have generally been cordial since 1991, there remain disputes about the war, the post-war expulsion, and the treatment and preservation of German cultural heritage in modern day western and northern Poland. Recently, a small but increasing number of German cultural heritage sites in Poland are being restored, often within the context of Polish-German cooperation. Von Moltke's palace in Krzyżowa, Świdnica County is the international youth meeting place. Since 1990, historical events have been examined by the Polish Institute of National Remembrance. Its role is to investigate the crimes of the past without regard to the nationality of victims and perpetrators. In Poland, crimes motivated by the nationality of victims are not covered by a statute of limitations, therefore the criminals can be charged in perpetuity. In some cases, crimes against Germans were examined. One suspected perpetrator of retaliatory crimes against expelled German civilians, Salomon Morel, fled the country to Israel , which has denied Polish requests for his extradition. The Oder-Neisse line as the Polish-German border was formally recognised by the East German government with the signing of the Treaty of Zgorzelec in 1950. The border was even referred to as the "Border of Peace" ( ) in official Communist Party propaganda. It was initially rejected as unacceptable by all West German political parties, with the exception of the Communists. By the 1960s, this opposition had mellowed, especially within the Social Democrats and the Liberals. A key component of Chancellor Willy Brandt's policy of Ostpolitik was the Treaty of Warsaw , where the West German and Polish states committed themselves to nonviolence and accepted the existing de facto border - the Oder-Neisse line. This was a quite sensitive topic at the time, since Poland was concerned that someday a German government would lay claim to some of the territory Germany lost to Poland after World War II. Brandt was heavily criticized by his conservative CDU/CSU opposition in the Bundestag . They were indeed in favour of such a claim for Polish territory, and accused Brandt and his party of abandoning German interests. The Oder-Neisse line was formally accepted by the Two plus Four treaty, effecting Germany's reunification in 1990, and the German-Polish Border Treaty that was signed in 1990 and came into force in 1992. There are also some worries among Poles that rich descendants of the expelled Germans would buy lands that were allocated to the Polish state in 1945. It is believed that this may result in large price increases, since the current Polish land price is low compared to Western Europe. This led to Polish restrictions on the sale of property to foreigners, including Germans, requiring that special permission be obtained. This policy is comparable to similar restrictions in the Baltic Åland Islands . These restrictions will be lifted 12 years after the 2004 accession of Poland to the European Union, i.e., on May 1, 2016. The restrictions are weak, and they are not valid for companies and certain types of properties. The attempts by German organizations to build a Centre Against Expulsions dedicated to documentation of, among other subject matter, the Expulsion of Germans after World War II has provoked strong reactions in Poland. A proposal by Polish politicians that Germany should instead build a Center for the Memory of the Suffering of the Polish Nation was rejected by German politicians, who argue that this suffering has already been documented in many memorial centers and expositions, while that of the expelled Germans has not. The official policy of the expellees is not to repeat the post-war expulsions with new expulsions, annexations, and population transfers. Most expellees accept the territorial changes of 1945 as far as territorial claims are concerned, and consider the Poles now living in the former East Germany as friends and neighbors in the European Union. However, a few of them demand compensation from the Poles and support the Prussian Trust. At the end of August 2004, a heated debate took place in the Polish legislature Sejm over a proposed bill calling upon the Polish government to enforce Germany's payment of reparations for damage inflicted on Poland during World War II. The issue of German reparations was raised in response to signals coming from Germany, or rather from certain German circles, which in civil legal proceedings to lay indemnity claims for property left behind in the post-war territory of Poland might be initiated. The Polish nation reacted strongly to statements made by Erika Steinbach, chair of the Union of the Expelled (BdV), and to claims made by Prussian Trust. Polish politicians asserted that only a response in the form of Poland's own reparations claims could suppress endeavors of some German citizens and their political advocates who are attempting to claim indemnity from Polish citizens in civil proceedings. The majority of Poles have not received any compensation from either the Soviet Union or Germany for losses suffered during World War II. However, Steinbach has sharply rejected any compensation claims and distanced herself from the Prussian Trust. On 9 October 2008 the European Court of Human Rights declared the case of Preussische Treuhand v. Poland inadmissible. On 28 December 1989, Václav Havel, at that time a candidate for president of Czechoslovakia (he was elected one day later), suggested that Czechoslovakia should apologize for the expulsion of ethnic Germans after World War II. Most of the other prominent politicians disagreed with this proposal. There was also no reply from leaders of Sudeten German organizations. Later, the German President Richard von Weizsäcker answered this by apologizing to Czechoslovakia during his visit to Prague on March 1990, after Václav Havel repeated his apology by saying that the expulsions were "the mistakes and sins of our fathers". The Beneš decrees, however, remain in force in Czechoslovakia. In Czech-German relations, the topic has been effectively closed by the Czech-German declaration of 1997. One principle of the declaration was that parties will not burden their relations with political and legal issues which stem from the past. However, some expelled Sudeten Germans or their descendants are demanding the return of their former property, which was confiscated after the war. Several such cases have been taken to Czech courts. As confiscated estates usually have new inhabitants, some of whom have lived there for more than 50 years, attempts to return to these a pre-war state may be the cause for a general increase in fears. The issue is revived periodically in Czech politics. As in Poland, there are restrictions in the Czech Republic on land purchases by foreigners. According to a survey by the Allensbach Institute in November 2005, 38% of Czechs believe Germans want to regain territory that they lost or will demand compensation. In 2005, Czech Prime Minister Jiří Paroubek announced an initiative to publicize and formally recognize the deeds of Sudeten German anti-Nazis. Although the move was received positively by most Sudeten Germans and the ethnic German minority, there has been criticism that the initiative is limited to anti-Nazis who actively fought for the Czechoslovak state, but not to anti-Nazis in general or non-Nazis. Some also expected some financial compensation for their mistreatment after the war. There are about 40,000 Germans remaining in the Czech Republic. Their number has been consistently decreasing since World War II. According to the 2001 census there remain 13 municipalities and settlements in the Czech Republic with more than 10% ethnic Germans. The situation in Slovakia is different from that in the Czech Republic, in that the number of ethnic Germans was considerably lower initially, and that the Germans from Slovakia were almost completely evacuated to Germany as the Soviet army was moving west through Slovakia. Only those few who returned to Slovakia after the end of the war were expelled together with the Germans from the current Czech Republic. Today, the ethnic German minority in Hungary has minority rights, organisations, schools, local councils, and spontaneous assimilation is well under way. Many of the expellees have visited their old homes since the fall of the Soviet Union in 1991. Many descendants of ethnic Germans who were expelled from Kaliningrad (Königsberg) can be found today in Germany. The expulsion of Germans from the northern part of what was formerly East Prussia was often conducted in a violent and aggressive way by Soviet officials who sought to exact revenge for the atrocities committed by the Nazis in the Soviet Union during the war. However, the present Russian inhabitants of the Kaliningrad sector (northern East Prussia) have much less animus against Germans. German names have even been revived in commercial Russian trade. Thus, it is possible that, in the future, the name of Kaliningrad might revert to its earlier name of Königsberg . Because the exclave was a military zone during the Soviet era and nobody was allowed to enter without special permission, many old German Prussian villages are still intact, though they have become dilapidated over the course of time. Overy, Richard, The Penguin Historical Atlas of the Third Reich, 1996, p. 111.